PowHERhouse Media is excited to announce a brand new media initiative in partnership with Trainer Ben Smith. Boxer. Bouncer. Bodybuilder. Believer. Everyone deserves to be happy! “I’ve spent my life struggling for self-acceptance, and along the way I discovered true happiness and peace of mind. It was always right there waiting for me, but it took a while before I could recognize it and accept it. I see the same struggle in other people, and I truly feel that if we can have a conversation about it, share some of our experiences and lessons learned, bring it out into the open, we can all experience true happiness. Ben is a survivor of intense bullying, violence and intimidation. After his adoption from Seattle, Ben grew up in a community where he experienced relentless racism, inferiority and brutal violence. Experiencing abandonment and low self-esteem, he regularly acted out and by the age of fifteen, he’d been expelled from four different schools and arrested and charged three times. Ben began bouncing in bars and nightclubs as a teenager and sought retribution from his past through a violent and destructive lifestyle. Through an introduction to competitive boxing and bodybuilding, he discovered a sense of purpose and self-acceptance that allowed him to find peace from his past and use his experience to help others. Ben has been a personal trainer, boxing coach and gym owner. 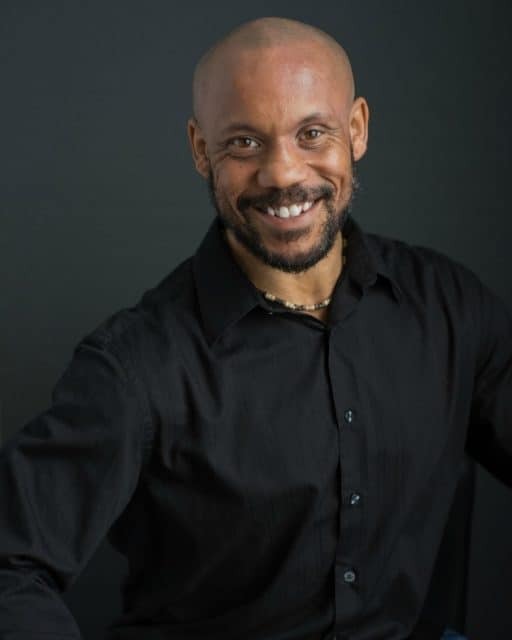 He’s developed innovative programs and worked as an in-house fitness trainer for several corporations as well as small-group and one-on-one fitness clients. As a youth outreach worker, Ben devised and taught fitness and mentoring programs directed at high-risk youth and students in need of positive direction. He continues to channel his focus, energy and passion into helping kids and young adults deal with many of the same issues he struggled with growing up. As a writer, Ben has focused on expressing his experiences and lessons learned and passionately seeks to help others unlock the door to true happiness and peace of mind in their own lives. Watch the episode one of Let’s Talk Happiness now to learn more! Stay tuned for further conversations with various future guests. Strong men stand beside powHERful women. In our quest to build a stronger nation, one powHERful woman at a time, PowHERhouse places a priority on initiatives that encourage us to explore our well-being and being well – who we are and how we show up in the world. Let’s Talk Happiness with Trainer Ben Smith is a brand new media initiative that we are proud to support and look forward to future conversations with various guests as we source happiness!